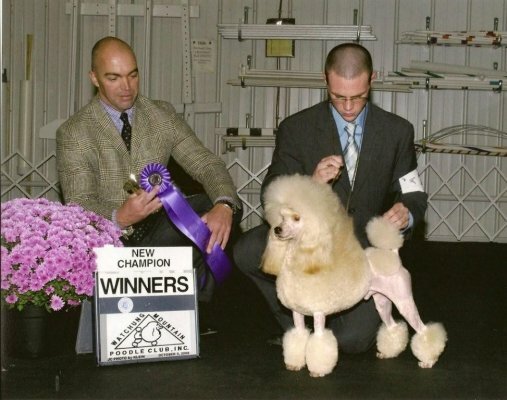 Logan, aka Am Ch Barclay Lyca Sunny-Side Up, was killed when a customer accidentally left a door open. (Yes! It can happen, no matter how careful we are, so we need to be constantly vigilant!) Logan was not only a very sweet boy, he was showing great promise for the future. I am very grateful to have a few Logan puppies to carry on his wonderful traits, but they can't take his place. He was a special boy. I miss you Logan.